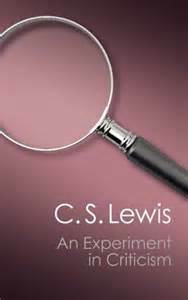 In An Experiment in Criticism, Lewis approached “myth” in several ways, most importantly as a story which has “a value in itself –a value independent of its embodiment in any literary work” (Experiment in Criticism, 41). Here Lewis defined myth in several ways. First, myth is ‘extra-literary’ as it has value outside its manifestation within a literary context. Second, myth elicits pleasure from the reader, but not pleasure based upon any specific literary device such as surprise or suspense (Ibid., 43). Third, human sympathy is minimal –the reader generally does not project himself into the myth (Ibid., 44). Fourth, myth is fantastic and deals with the seemingly impossible (Ibid., 44). Fifth, the experience of the myth, while possibly joyful or sad, is always serious and grave (Ibid., 44). Finally, even within the midst of the seriousness, the myth is awe-inspiring, portraying the communication of some great truth to the reader (Ibid., 44). 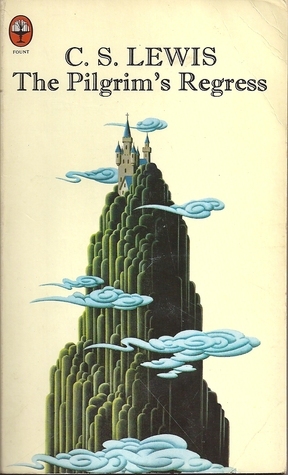 From this literary perspective, the importance of myth to Lewis was the experience: “When I talk of myths I mean myths as we experience them: that is, myths contemplated but not believed, dissociated from ritual, held up before the fully waking imagination of a logical mind” (Ibid., 45). Myth is to be thought-provoking, awe-inspiring, and contemplated. Yet, the appreciation of myth does not necessarily have to be literary and scholarly. While any man can read myth, only the truly literary will be impacted by both the literature for its own sake as well as the delight that accompanies the meaning behind the myth (Ibid., 46-47). Having viewed Lewis’ literary approach, we now turn to examining his perspective on myths in terms of their historicity. In The Pilgrim’s Regress, Lewis’ characters, John and the Hermit, talk of the history of the Landlord and the Island, during which the history of the ‘myth’ arises. John asks the Hermit if it is “really true that all men, all nations, have had this vision of the Island?” an indication of John’s own experience with myth (The Pilgrim’s Regress, 197). The Hermit responds that “it does not always come in the form of an Island: and to some men, if they inherit particular diseases, it may not come at all… It comes from the Landlord…It has brought you to where you now are: and nothing leads to him which did not first proceed from him” (Ibid., 167-168). Here we see Lewis espousing the idea that while most men are given an opportunity to experience the joy of myth and respond to it, others are not. However, when the experience of a myth that points towards God comes, it can only be from God, since all things that lead to God come from Him. Later, the Hermit speaks of the battle between the Landlord and the Enemy, and how the Landlord communicated with the pagans. “The pagans couldn’t read, because the Enemy shut up all the schools… But they had pictures… Those pictures woke desire” (Ibid., 169). The Hermit goes on to explain that as hard as the pagans tried to copy the images they had seen, they would always fail because the Landlord would send a new picture to awake fresh desire in them. Lewis here seems to be speaking of the various religions of the pre-Christ world, which seemed to possess elements of the truth, but ultimately failed to fully grasp the plan of God. Furthermore in The Pilgrim’s Regress, there were the ‘Shepherd People’; those who had the written rules from the Landlord, but who were perhaps a bit ‘narrow’ in their working of the rules (Ibid., 170). However, they found a way to the Island by the help of the Landlord, marked the way for others, and kept it for others for some time (Ibid., 170). This seems to be Lewis referring to the Children of Israel, who were given the law of God in order to bless all the nations of the world. It appears that Lewis’ view concerning the Israelites was that they had come to prepare the way for Christ, introducing the world to the laws and belief in the one true God, whom the pagans could not find on their own. For Lewis, the Israelites were the preparation for the revelation of the Myth becoming Fact.